Prison time, heavy fines, and a damaged reputation are all very real consequences of criminal charges. During this time of uncertainty, you may be feeling lost, scared, and overwhelmed. Despite the seriousness of your situation, don’t jump to the conclusion that your case is hopeless. 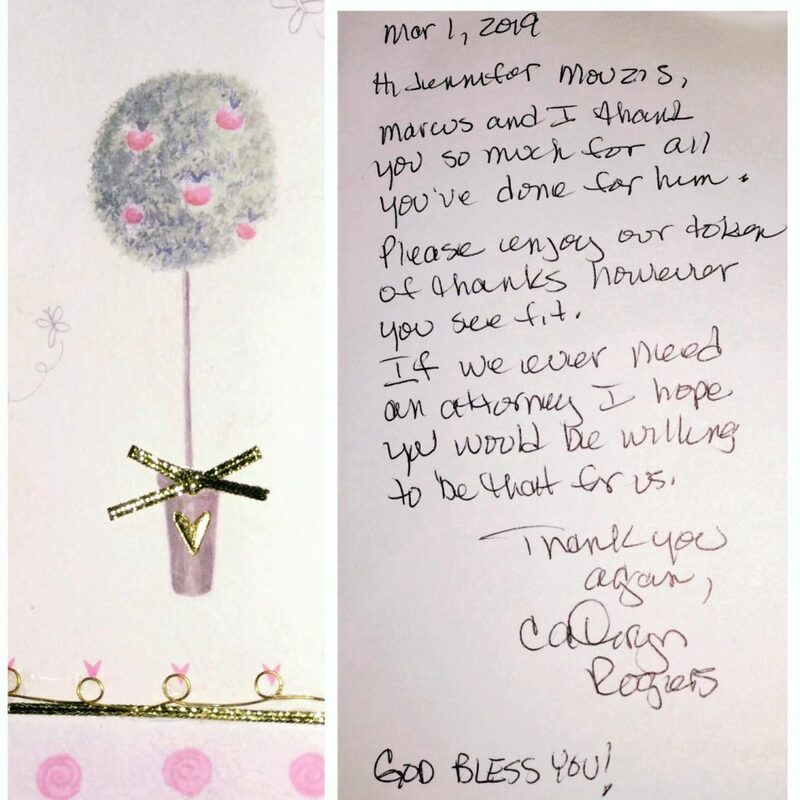 With the right attorney by your side, you’ll have a fighting chance to receive a reduced sentence or a full acquittal. At the Law Offices of Jennifer Mouzis, we aggressively defend the rights of those who have been accused of criminal conduct in California. 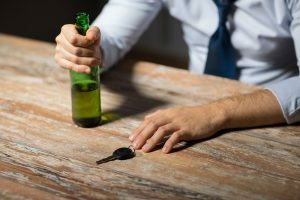 Whether it be a misdemeanor, felony, juvenile or DUI case, our goal is to protect your rights, your record, and your freedom. With everything on the line, act quickly. Call our office 916-822-8702 to schedule a consultation. Hi, I’m Jennifer Mouzis. 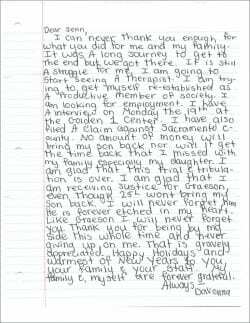 As your attorney, I will vigorously fight to help you win your freedom and clear your name. I have built a reputation in the Sacramento area as a veteran of tough cases with an aggressive style that is proven to get results. I don’t see my clients as criminals, I see them as people who have made mistakes. You deserve a second chance. With me by your side, you’ll have a distinct advantage. As a former prosecutor with the Sacramento District Attorney’s Office, I gained valuable experience learning how the other side works, and I’ve put that knowledge to good use by achieving the best possible outcomes for my clients. I am the Vice- Chair of the Criminal Law section at the Sacramento Bar Association. Room Dining Hall- a homeless feeding program in Placerville, California. Anyone who is charged with a criminal offense is presumed innocent until proven guilty. As a defendant, you have no burden to prove that you are innocent. The burden of proof is all on the government. They have to present convincing evidence in testimony and prove you are guilty to a jury of your peers. This is the highest burden of proof in the criminal justice system. The jury or judge has to be firmly convinced that the state has met the highest standard burden of proof, and that you are guilty of committing each and every act of the charged crime. There are key differences between a misdemeanor and a felony in the judicial system. A misdemeanor is a minor criminal offense, whereas a felony is a much more serious, usually violent, criminal offense. The essential difference is the severity of punishment. A felony conviction can land you in state prison, but a misdemeanor will only have you do time in the local or county jail. A felony can involve a fine up to $10,000 and a sentence of up to life in prison or even the death sentence for special circumstance murder. A misdemeanor is generally punishable by a $1,000 fine and a maximum of one year in county jail. 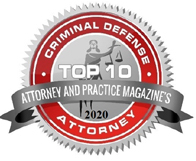 Criminal defense attorney Jennifer Mouzis is well-versed in the specialized rules of your local court and can help you navigate the criminal justice system with ease. Below is a general overview of what you can expect after an arrest leading up to a verdict. An arraignment is your first appearance in court. 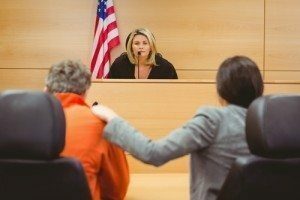 If you are in custody up until the time of the arraignment, the judge may release you “on your own recognizance” with the promise that you will return for scheduled court dates. The judge may also decide to send you back to jail until bail is posted, or refuse you bail and send you back to jail. This is a process called “discovery” and allows us to discuss the evidence against you and formulate an effective defense strategy. The Felony Disposition Conference (FDC) is also referred to as the plea bargaining conference. In this meeting, the judge, prosecutor, and myself will gather in the judge’s chamber to discuss your case. The prosecutor will present their best argument as to why they think you are guilty. Sometimes the prosecutor will make an offer to settle the case without a trial or preliminary hearing. The offer will most likely involve you accepting to plead guilty to the crime in exchange for a lesser sentence. For example, if you have been charged with murder, the charge may be downgraded to manslaughter, which carries a lesser sentence. Soon after, I will let you know what the exact offer is and it will be up to you to decide if you want to accept it or not. Within 10 court days from the date of your arraignment, a preliminary hearing is held. The purpose of the hearing is not to prove guilt “beyond a reasonable doubt;” this is a much higher standard required at trial. Rather, the prosecutor only needs to persuade the judge that there is a strong enough suspicion that you have committed the crime. As your lawyer, I will have the opportunity to challenge the evidence and cross-examine the witnesses. If the judge determines there is no probable cause, the case is thrown out and you win. If the judge determines that the prosecution has a viable case, then an issue will be ordered requiring you to stand trial. Before trial, I will have the opportunity to file motions to suppress certain evidence. 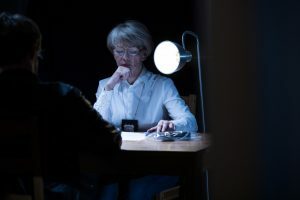 For example, if we have discovered that the police unlawfully obtained evidence in your case, then we need to make sure that evidence gets thrown out and is deemed inadmissible in court. There also may be a need to file a motion to force the prosecutor or police to disclose any evidence which could help prove your innocence. The trial is required to begin within 60 days from the date of your trial court arraignment. If your case is a misdemeanor charge, you have the right to proceed to trial within 30 days if you are in custody, or 45 days if you are out of custody, from your initial arraignment date. In trial, all 12 jurors will have to believe beyond a reasonable doubt, the highest legal standard, that you are guilty of each and every act of each and every crime that you are accused of. 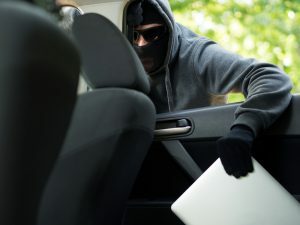 This felony process from beginning to end could take anywhere from several months to a year, depending on the charges. If convicted of a felony in California, sometimes the judge may order “formal” probation in lieu of a prison sentence, which will allow you to serve your sentence in the community.However, the judge does have the discretion to send you to county jail for up to a year. 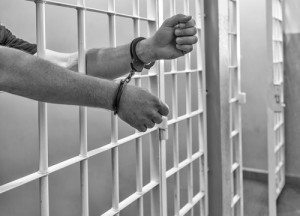 Those eligible for probation usually include those who have no prior history of committing a serious or violent crime and are deemed to be capable of rehabilitation. If you violate or fail to comply with any of the terms of the probation, the judge can send you to state prison up to the maximum term. If you are convicted of a misdemeanor, the judge may order “informal” probation instead of issuing a fine or jail sentence. 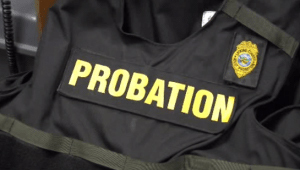 Unlike felony probation, you are not required to report to a probation officer. Instead, you periodically go back to court for a review of your progress. If you violate probation, the judge can send you to county jail. Can I Clean Up My Record After I Complete Probation? If you have been convicted of a misdemeanor or felony, you may be able to get your conviction expunged. Juvenile Crimes: My Child Has Been Arrested, What Now? If your child is in trouble with the law, I want you to know that our practice has a great track record of keeping kids out of state prison. As a former prosecutor in the Juvenile Court System, I developed a strong foundation for later specialization in the legal defense of juveniles in the criminal justice system. In California, individuals under the age of 18 who are charged with a crime are usually sent to juvenile court, a court designated to meet the special needs of children and teenagers charged with crimes. juvenile courts are designated to rehabilitate, whereas adult criminal courts are more focused on punishment. As a defense attorney, I generally like to keep the case in juvenile court because the punishment tends to be much less. With that said, it is sometimes beneficial for a child to go to adult court because a prosecutor would have to convince all 12 jurors that the crime was committed beyond a reasonable doubt. This decision, however, cannot me made until the details of your child’s case are carefully reviewed. If you’re facing criminal charges, call for a consultation today with our Sacramento based criminal defense attorney Jennifer Mouzis. Be confident that your case will get the time and attention it needs for the best possible results.